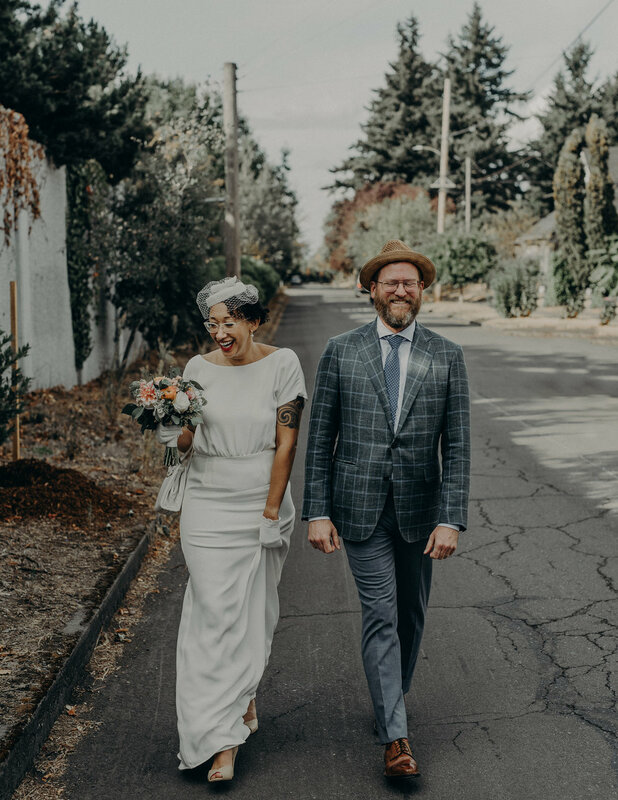 Just look at how adorable these two are! 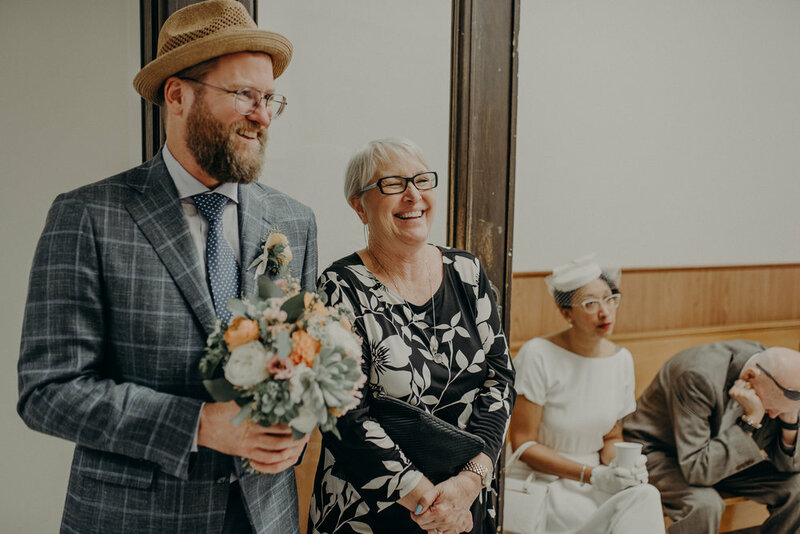 I think I had a huge smile on my face this entire wedding. 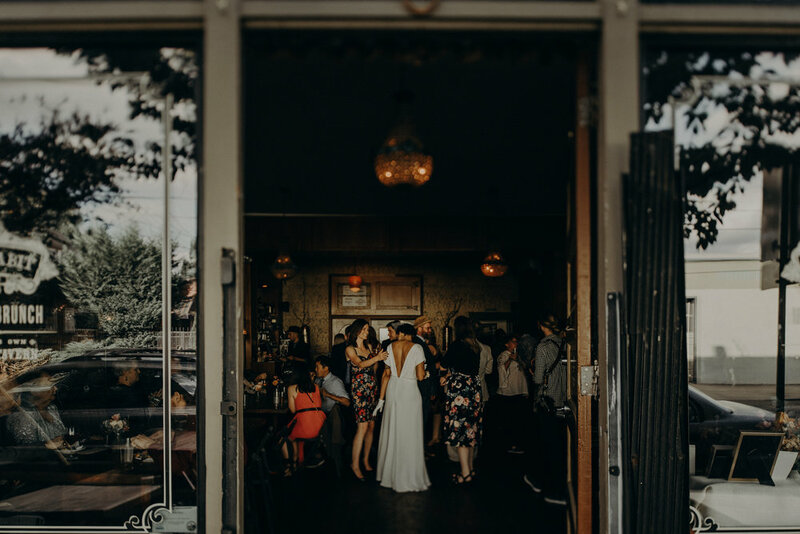 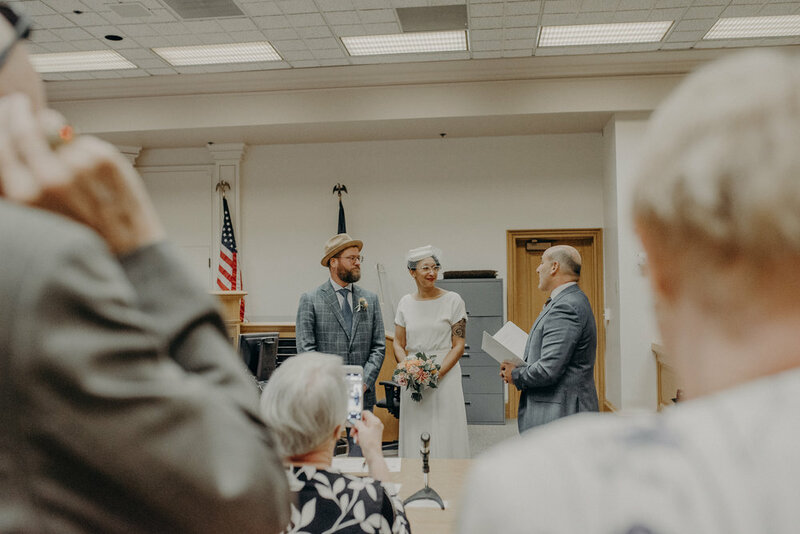 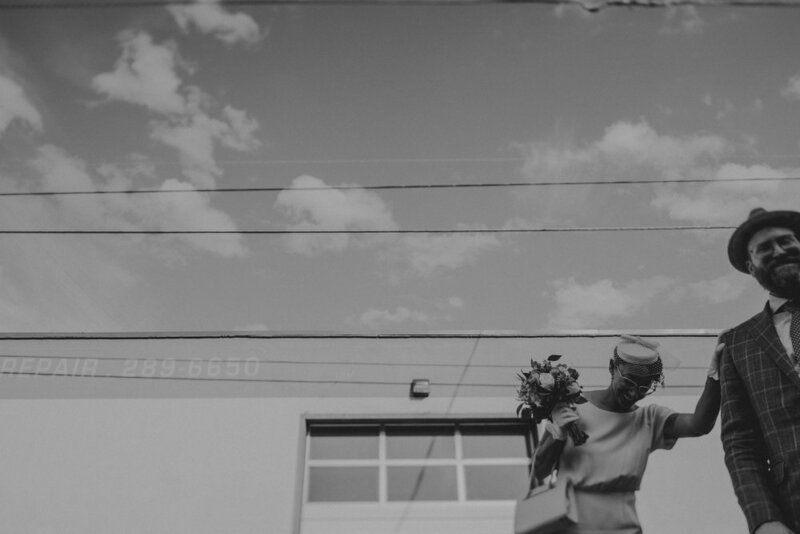 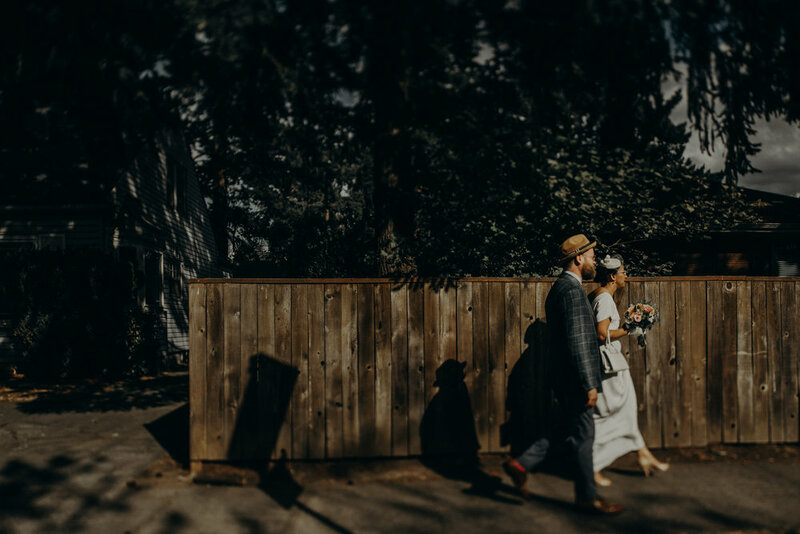 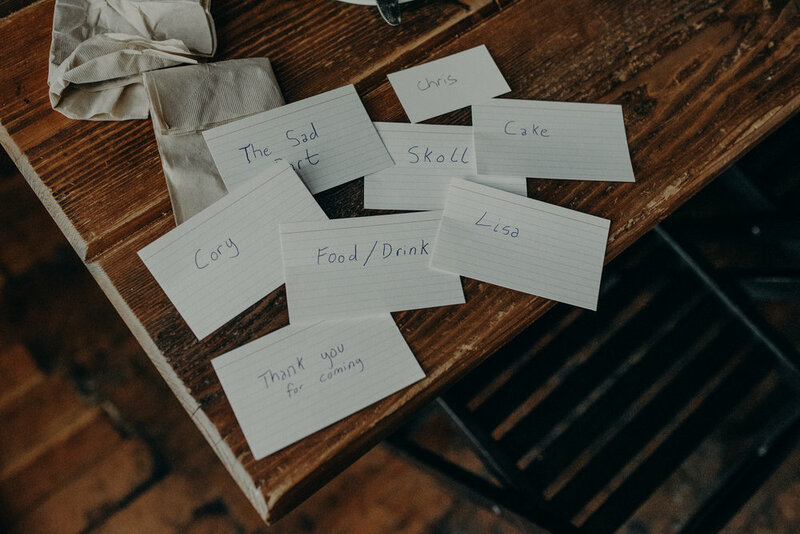 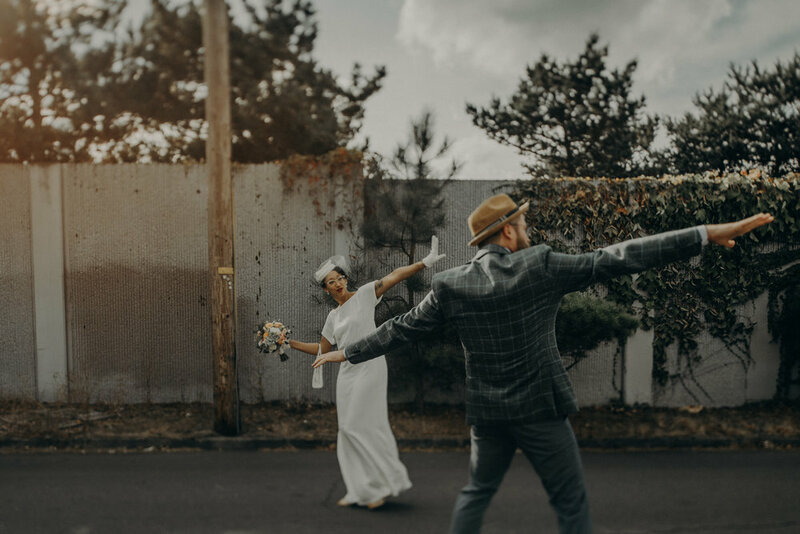 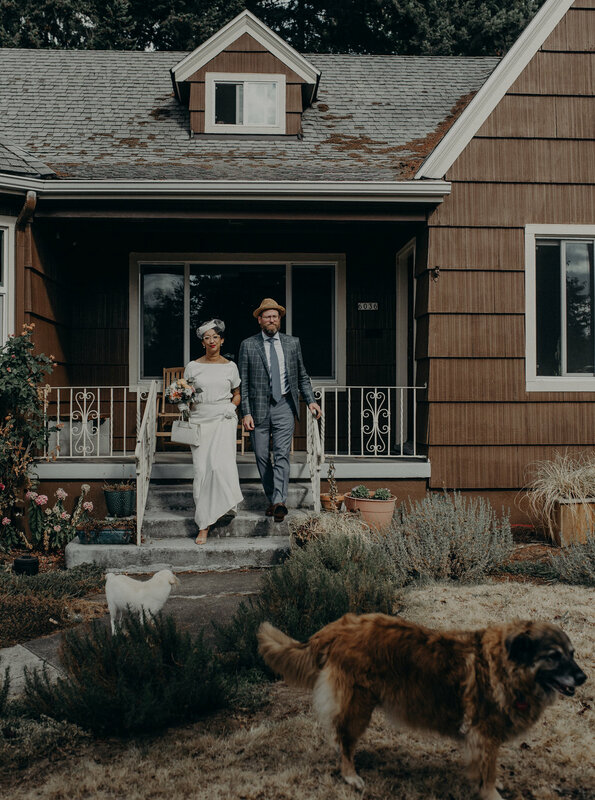 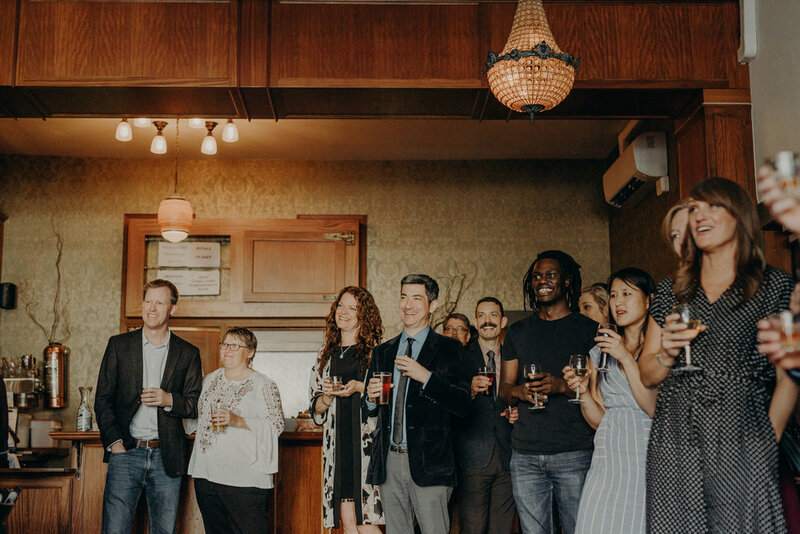 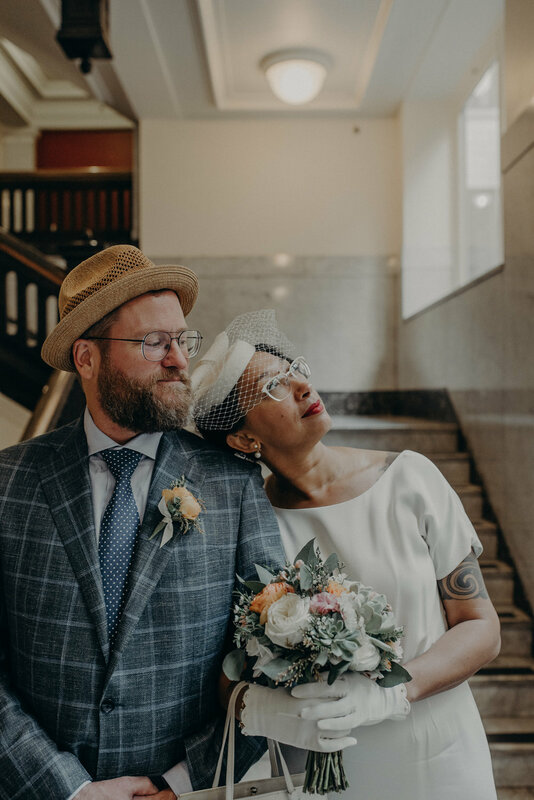 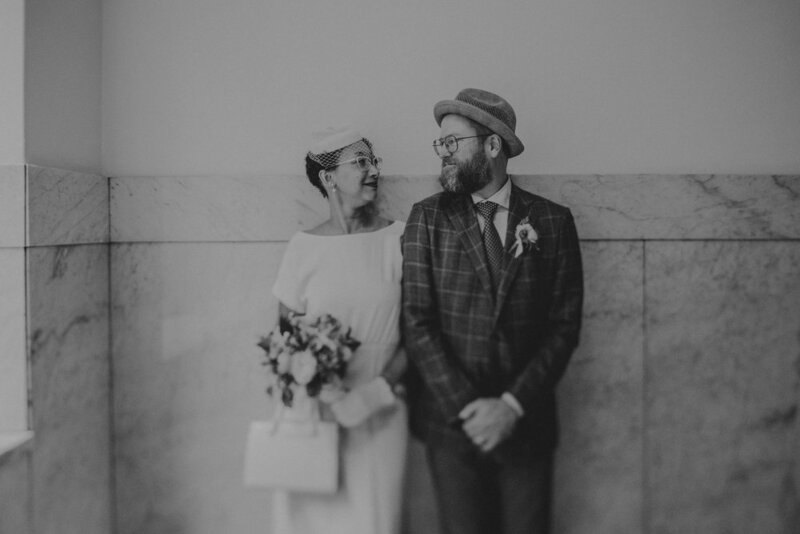 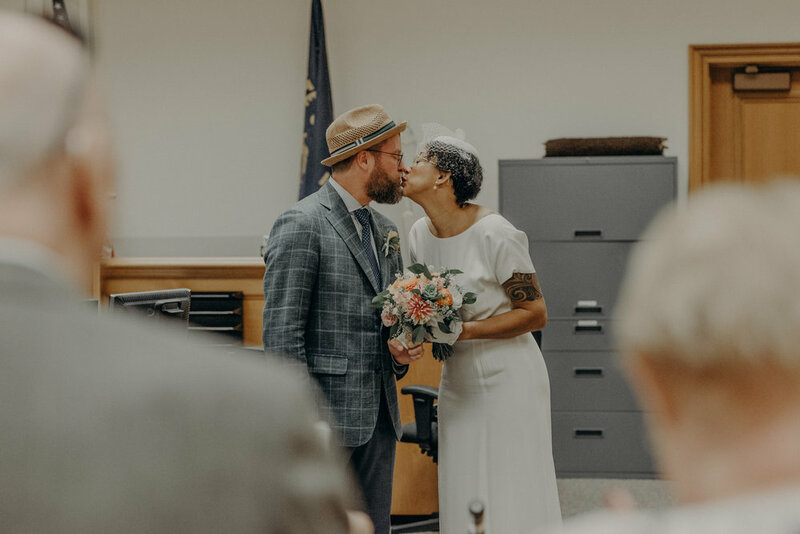 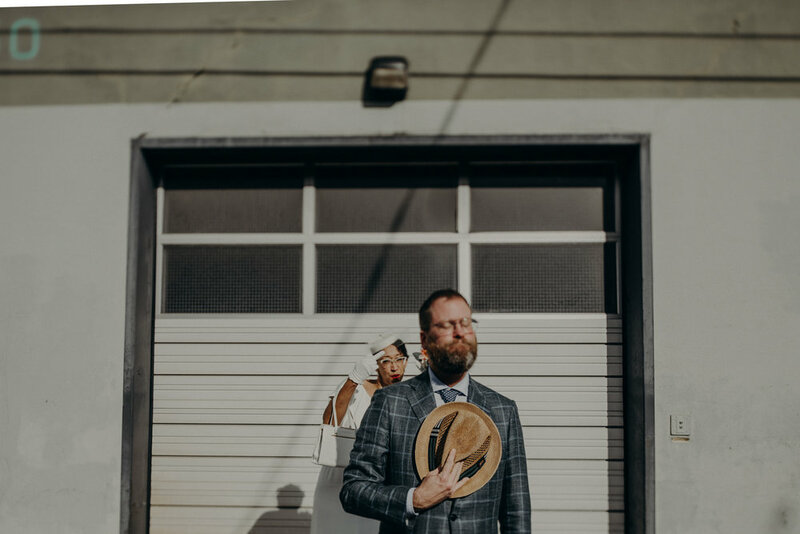 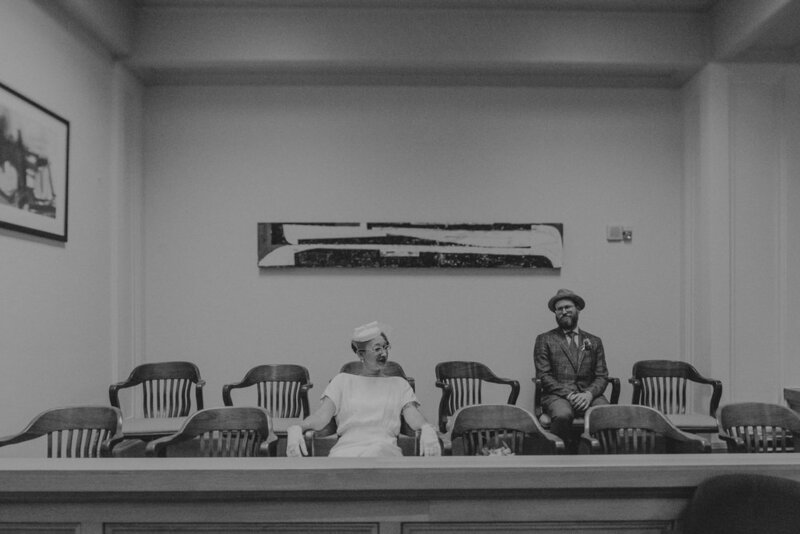 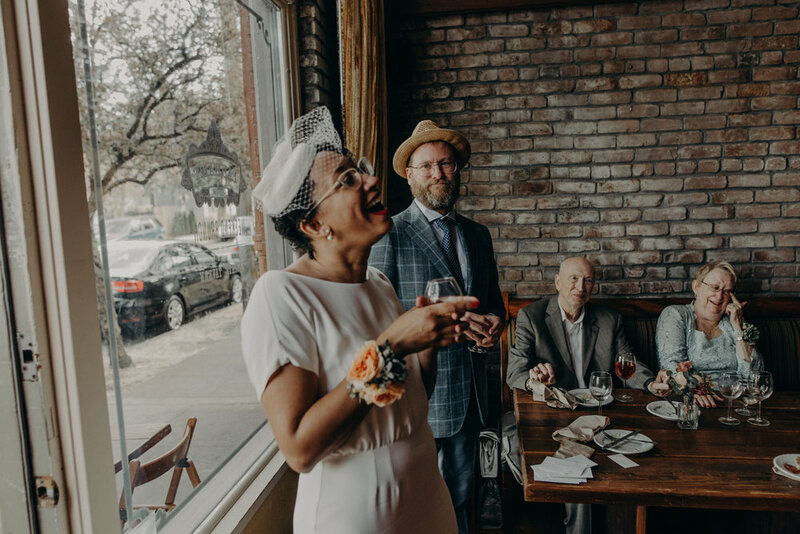 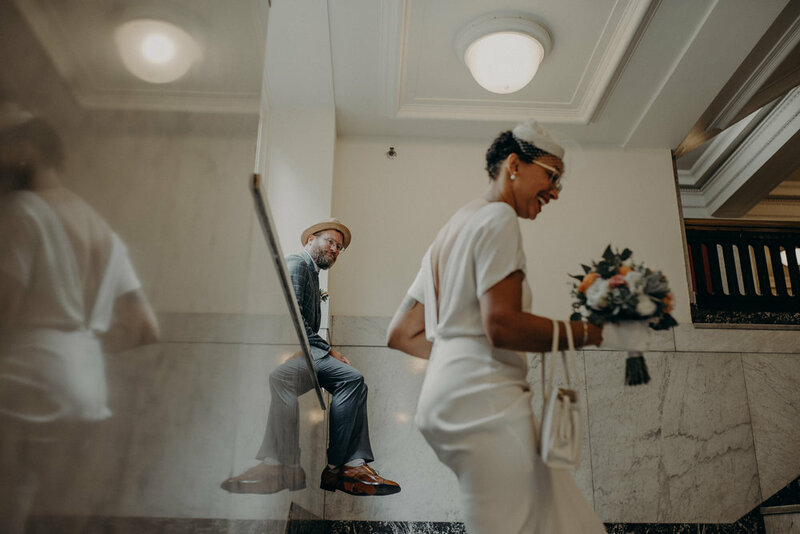 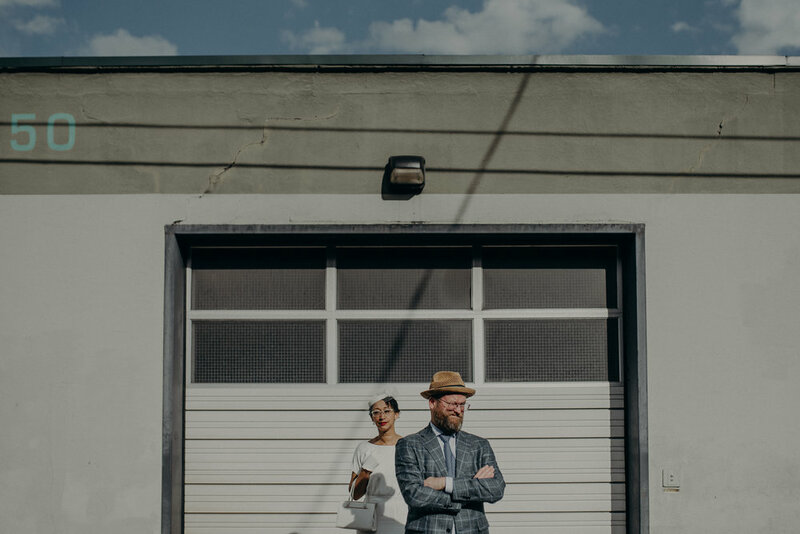 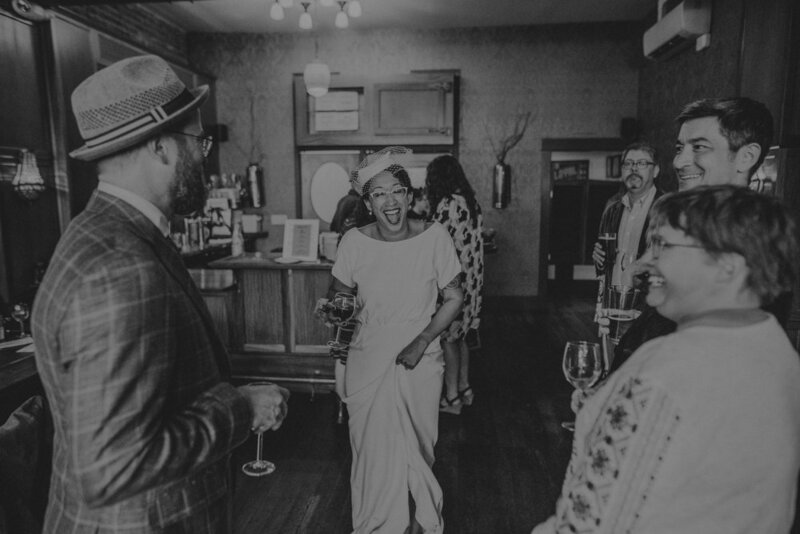 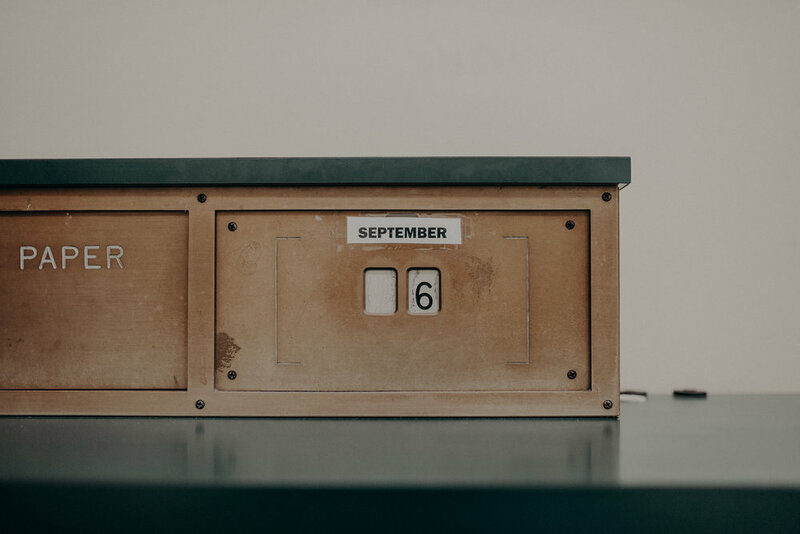 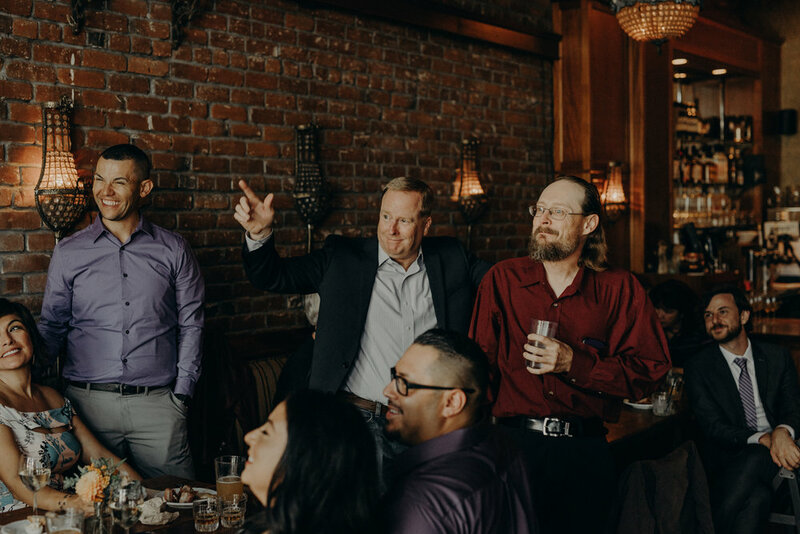 We flew from Los Angeles to Portland to document these buddies elope at the Multnomah County Circuit Court, then a couple days later we met up at their house for round two. 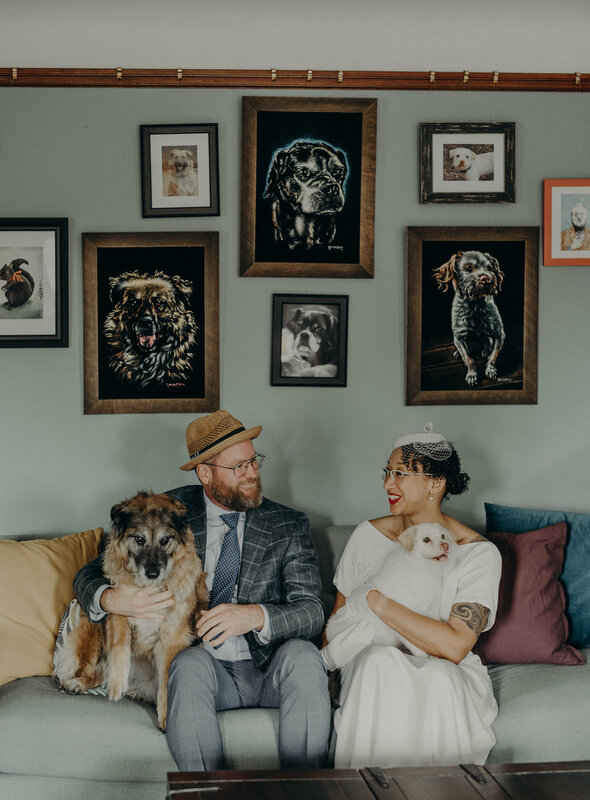 After they got ready and cuddled their pups, we took a little walk through their neighborhood to the local Bad Habit Room. 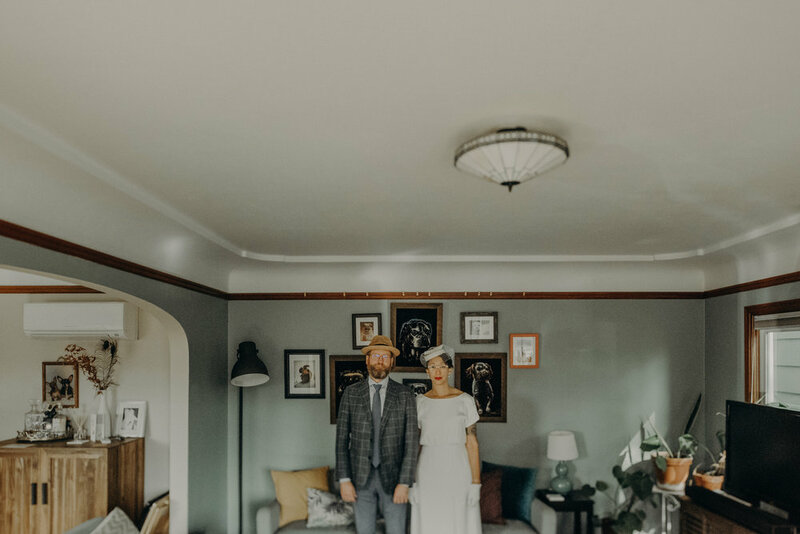 From the harsh light and staged American Gothic style dead pans, to the laid-back documentary of them just being themselves, I am very happy with how these turned out!